Our company prides itself on a longstanding history of providing quality services to the area since 2007, during which time the following Frequently Asked Questions commonly arise. In the event that the information you are seeking is not contained within our FAQ section or this site in general, please contact us via phone or email and an agent will respond to your questions promptly. Sedans – receive 30 minutes free on domestic and 60 minutes on international flights. 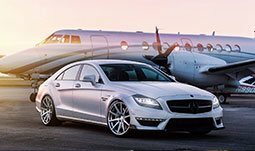 Limousines – receive 30 minutes free on domestic and 60 minutes free on international flights. Vans – receive 30 minutes free on domestic and 60 minutes free on international flights. SUVs – receive 30 minutes free on domestic and 60 minutes free on international flights. What sorts of vehicles may I expect? All of our cars are new models 2015-2017.
Business sedans are Lincoln MKT, Chrysler 300 or Mercedes E-Class. First class sedans are Cadillac, Lincoln Town car or Mercedes S-Class sedans which are available in dark and light colors. Stretch Limousines ? 2015 models are all Lincoln MKT cars and available in black and white colors. Also included in the limo is a TV, DVD and CD Player with a full sound system. A Bar is included with soft drinks. 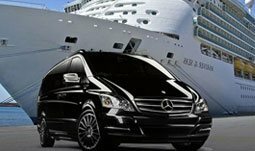 Luxury Passenger Vans Mercedes Sprinter for all airport pickups these vehicles can accommodate up to 14 passengers plus their luggage. For sightseeing or other than airport transit, the vans can accommodate up to 14 passengers. SUVs are Chevrolet Suburban or Cadillac Escalade can accommodate up to 6 passengers and up to 6 medium size luggage pieces. What is your credit card processing procedure? 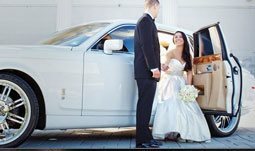 At the time of the actual reservation Miami Unique Limousine only takes an authorization on the card to guarantee funds availability. It will show as ? ?Pending funds?? on your credit card account statement. The authorization amount is usually higher than the expected charges, just in case if you decide to make some additional stops you did not inform us of or change your destination. The final charge from Miami Unique Limousine will occur after the services provided by our company are complete (most sales will show on the same day). What if I am unable to arrive in time for a reservation, “No Show”? Call toll 888-604-0546 so that one of our dispatchers can get in touch with the driver and help you to locate each other. Email in the event your plans or flights have been changed. If I need to cancel a pick up, what are the requirements? Airport services can be changed or cancelled within up to 24 hours of the reservation to allow for cancelled or delayed flights. To avoid being charged for hourly services you must cancel your reservation at least 24 hours before service time*. You must provide confirmation # for each reservation. Do you have a Guarantee of Service? Where can I find your hourly rates? Our rates are by the hour (BTH) also known as A/D (as directed). They vary by vehicle type and the hourly minimums are stated immediately next to the rates. These hourly minimum booking times stipulate that the reservation must be for at least this number of hours, which can include the garage time. Please call us 888-604-0546.